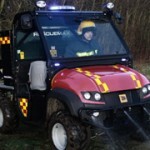 Harnessing leading water mist technology in the fight against fires and excelling in situations where there is limited or no access, the RescueMax is a perfect, cost effective, first response fire fighting vehicle, ideal for urban and rural locations. 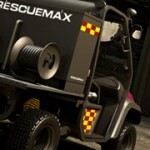 Two leading quality technologies; one first-class JCB WORKMAX all terrain fire response vehicle, one low pressure WaterMist fire suppression system, combined to create the revolutionary RescueMax. The FireBug skid utilises a highly resilient agricultural grade pump and diesel engine combination and a unique, tri-function dispensing gun for foam & water to create a powerful, robust, hardworking fire fighting system. RescueMax can incorporate a Premix or Foam Induction system to allow the safe and effective use of Foam or other liquid agents. 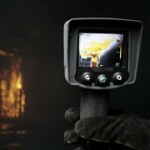 Our nozzle allows you to choose between the WaterMist of Foam option depending on the type and size of the fire.